TECHNICAL ANALYSIS: JSE All-Share index – bull market to resume? The JSE rose on Wednesday as rand hedges lifted the local bourse as the local currency was weaker. 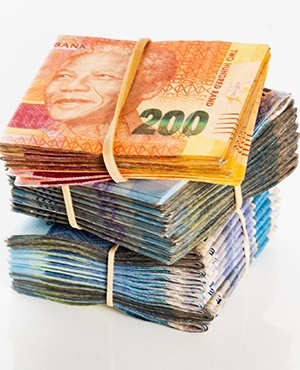 The rand came under pressure in the morning session as a sell-off ensued in emerging market currencies ahead of the US Fed’s rate decision expected at 20.00 CAT today. The local currency weakened to a session low of R12.39/$ before it rebounded as the US dollar eased from its highs. At 17.00 CAT the Rand was trading at R13.23/$. Despite the firmer close on the JSE, there was some disappointment following the release of retail sales data by Statistics SA. Retail sales year-on-year only increased by 0.5% which missed the forecasted growth of 4.4%, while month-on-month they contracted by 1.2% which was worse than the estimated 0.6% expansion. The JSE also recorded a minor rally in the afternoon session following the release of a trading statement by Naspers [JSE:NPN]. Given the recent results of its Hong Kong listed associate, Tencent Holdings, the statement was not a big surprise. Naspers is expecting significant increases in earnings in their financial earnings results for 2018. The JSE failed to maintain the momentum gained because of the statement but it closed firmer nonetheless. Naspers eventually closed the day 1.23% firmer at R3 393.00 per share. Sappi [JSE:SAP] added 2.39% to close at R91.64 per share, while Aspen [JSE:APN] posted gains of 3.07% to close at R269.36 per share. Richemont [JSE:CFR] announced its public offer for all the shares of an Italian online luxury goods retailers called YNAP. The stock was also buoyed by the weaker rand eventually closing the day at R124.60 per share, up 0.99% for the day. Glencore [JSE:GLN] closed 3.65% firmer at R70.38 per share, whilst Pan-African Resources [JSE:PAN] was 3.7% higher at R1.40 per share. Banks firmed despite the rand trading mostly softer, with Standard Bank [JSE:SBK] adding 1.68% to end the day at R201.12 per share, FirstRand [JSE:FSR] gained 1.18% to close at R61.10, and Nedbank [JSE:NED] closed at R275.14 after posting 1.41%. Weakness was mostly recorded in rand sensitives and some of the miners. Sibanye-Stillwater [JSE:SGL] slipped to end the day 4.29% softer at R8.45 per share. Retailers, Truworths [JSE:TRU] and Mr Price [JSE:MRP] lost 3.28% and 1.91% to close at R81.00 and R236.70 per share respectively. Oil and gas producer, Sasol [JSE:SOL] eased to close at R488.15 per share after losing 0.78%. The JSE All-Share Index closed 0.39% firmer, while the JSE Top-40 index added 0.56%. Industrials and financials inched up by 0.51% and 0.94% respectively, however the resources index was mildly softer after losing 0.1%. Trading in gold has remained relatively muted over the past couple of sessions. At 17.00 CAT the precious metal was trading at $1296.84/Oz, only up 0.09% on the day. Platinum was 0.15% firmer at $900.15/Oz, while palladium was trading 0.77% weaker at $1014.45/Oz. There was big draw in US crude oil inventories data released this afternoon. As a result, brent crude recovered from its earlier slump to trade 0.8% firmer at $76.49/barrel just after the JSE close. At 17.00 CAT Bitcoin was trading .4.68% weaker at $6434.30/coin, while Ethereum had slumped by 10.44% to trade at $469.00/coin.